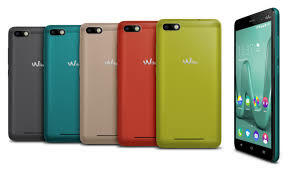 The French brand Wiko has recently reacted to its own privacy controversy.After it was announced that the devices from Wiko Mobile periodically transfer certain data to China, they have now praised improvement and supplied some more details.Among other things, the previous practice of collecting statistical data should be changed, but still continues. The French portal Frandroid asked again and learned, inter alia, that Wiko the so-called Wiko Services and the so-called because of the transfer of data to China ” Sales Tracking System ” (STS) are considered separately. The Wiko Services app also collects “anonymized data”, whereby it is possible to switch off this functionality. With this option, many customers are likely to assume that data will no longer be transferred to the manufacturer after the Wiko services have been deactivated. In fact, Wiko even treats its services app separately from the controversial STS. However, this fact is not made clear during the commissioning of the respective telephone, which is probably one of the reasons for the negative aftertaste of the data collected by the STS. With regard to the Sales Tracking System Wiko said that you want to check and adjust the functionality. There are currently discussions with the parent company Tinno, which builds the Wiko smartphones in Shenzhen, Shenzhen and is also the recipient of the data collected from the currently used STS. Tinno’s Sales Tacking System should no longer be used by the end of the year, with it being unclear whether an uninstall or just a “shutdown”. It will be replaced by a new STS developed by the French brand for use on equipment sold in Europe, according to Wiko. In the future, this will transfer data to Wiko at the very first start of the respective device – to French and not to Chinese servers. Specifically, you want to transfer the model name of the phone, the Android version number, the country and the IMEI number of each device. The transmission will then be monthly as well, as it is already the case with the Chinese STS app. Wiko also wants to switch off at a date not previously mentioned, the feature contained in the Chinese STS app to transfer the data via SMS. The authorization of the app, the ID of the cell in which the user is located to record, will be turned off in the future. Wiko reiterated that these possibilities had never been used, although this seems entirely possible due to the code examined by a Twitter user Elliot Alderson. The company also stated that the data collected by the Sales Tracking System, unlike that claimed by the security expert, was not transferred to China but to German servers. The transfer was done via HTTP in encrypted form – which also contradicts the information provided by the Twitter user. He had indicated that the STS app transmits its records to the server accessible at eservice.tinno.com. However, if you run a traceroute for this server at the moment, you realize that it seems to be hosted in Hong Kong – after all, it’s on Chinese territory and not in Germany. Therefore, Wiko’s statements do not necessarily seem credible; after all, while the charges are contradictory, the facts seem to speak a different language. Also, the number of devices affected by the data collected by the STS is now the first information. For example, Wiko claims that it did not start using Tinno’s sales tracking system on its devices until October 2016. It should therefore only be used on products that have been manufactured since October 2016. 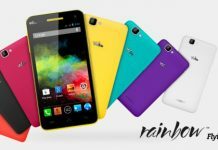 A concrete list of affected models is still not available, but it is expected that the recently launched Wiko smartphones are all affected. Only at the IFA in September, Wiko had presented several series of new products with the new model series WIM, View and U-Feel. In addition, since then with the Wiko Lenny 4 and the Wiko Tommy 2 some new entry-level devices have been introduced. In the case of these models, they mentioned new Wiko-owned STS will replace the Chinese version of the parent company Tinno by the end of the year. Wiko has also commented on the question of whether the collection of the allegedly anonymous usage data is not actually a permission of the user would be necessary and that a waiver does not violate data protection laws. The company believes that these are mere “data of a technical nature” collected for the purpose of gathering information such as sales figures and the life of the products. 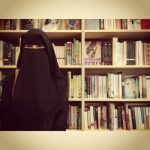 It is said that no permission from the user is required. The new EU privacy rules, which will come into effect in March 2018, meanwhile require that, in principle, the user must consent to the transmission of data if it is not essential for the operation of a communication device. Statistical data, as captured by the Tinno or Wiko Sales Tracking System, should by no means be essential for the operation of smartphones – and thus may not be transferred from next year unless expressly approved by the user. So far Wiko does not react in an obvious way.